CALGARY -- A woman who opted to treat her son with holistic remedies instead of taking him to the doctor for a strep infection has been granted full parole. 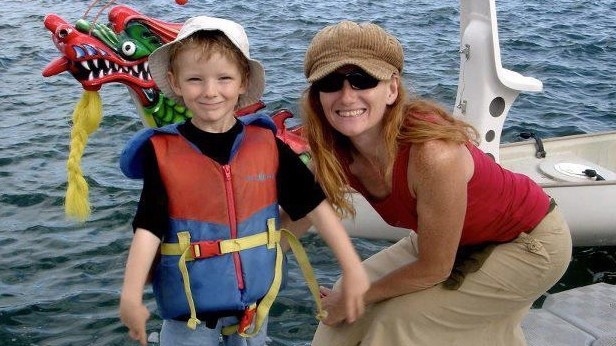 Tamara Lovett, 50, gave seven-year-old Ryan dandelion tea and oil of oregano when he developed the infection that kept him bedridden in their Calgary home for 10 days before he died in 2013. 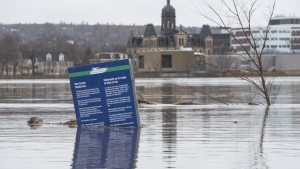 She was convicted in 2017 of criminal negligence causing death and was sentenced to three years in prison, but was granted day parole last June. Lovett told a Parole Board of Canada hearing on Wednesday that she still grieves for Ryan. "I'm not the mess I was at the beginning, for sure," she told the board. "I still grieve every day, but ... I am able to move through this. I will always live with this sense of guilt and I have to learn to forgive myself." Ryan was dead well before his mother called 911 to say he had stopped breathing. An autopsy found that the boy's body was full of streptococcus bacteria, which caused most of his major organs to fail. Lovett mistrusted western medicine and told the board she now realizes she should have taken Ryan to a medical doctor. "I had no idea that was going to be the outcome. I was just chasing symptoms at that time," she said. "If I could go back and do it all over again, I wouldn't be here. There's nothing I can say, nothing I can do that will bring him back." Lovett told the board that she has abandoned her "New Age" lifestyle and has become a Christian. She appeared agitated throughout the hearing and at one point was asked if she was angry because there seemed to be some "bitterness" in her responses. "I'm just upset. There's no anger or anything," she responded. The board said that Lovett's views on western medicine are still not totally in line with the rest of society, but she has made progress and is a minimal risk. Lovett said she understands some members of the public would prefer she served her entire sentence behind bars. "I live it every day. Being inside or being outside, I'm still serving it." Lovett has been living in a halfway house but will now be allowed to move into an apartment with a roommate. She has a job lined up at a pre-fab building shop as a painter. Lovett must continue to receive counselling and is not allowed to be responsible for the care of anyone under 18 or for anyone in a vulnerable position. The judge who convicted Lovett said at her trial that she "gambled away" her son's life and any reasonable parent wouldn't have waited until a child was near death to seek help. Justice Kristine Eidsvik said it should have been obvious to Lovett that Ryan was suffering from more than an ear infection and that he was on a "downward spiral." A doctor testified at Lovett's trial that Ryan could have been saved if he had been given antibiotics.